October is Dyslexia Awareness Month, a month to talk about something that affects one in five children and how we can all overcome Dyslexia with the use of Technology. Although the impact of Dyslexia on language abilities varies from person to person, a shared trait among people is that they read at levels lower than typical for their age group. Interestingly, Dyslexia is the most common learning disability and the symptoms of dyslexia can range from mild to severe. It affects 15-20% of the American population and can affect all genders, race, and ethnicities equally, irrespective of socioeconomic class. A major misconception associated with Dyslexia is that it stems from a lack of intelligence or is caused by visual impairment. Over the decades, there has been a rapid increase and dependence on the use of technology to overcome several challenges that people with disabilities face. Assistive technology aids in saving time as well as enables them to demonstrate their abilities in ways that were once thought to be impossible. Common challenges with those who are affected faces include: reading comprehension, writing, thought expression, and articulation. As such, the emergence of many technological tools has assisted in overcoming these existing barriers. At Voicepods, one of our primary goals is to take our bleeding-edge technology and enhance the experience of those who suffer from dyslexia. In addition to Voicepods, we would also like to explore a couple of other wonderful products that cater the needs of those who have various learning disabilities. To begin with, The C-Pen Reader is breakthrough advancement in assistive technology for language disabilities, specifically dyslexia. This pen is portable and pocket-sized; it reads text out loud in various languages such as English, French and Spanish. The device also consists of many features that assist in reading and comprehension, such as: built-in dictionary, a voice recorder, and compatibility with both Mac and PC. It is extremely user-friendly and a great way increase reader independence. You can read more about the C-Pen Reader on their website. 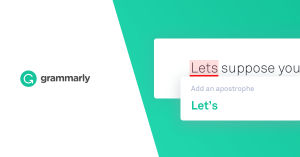 Another great tool that is useful for those coping with language-associated disabilities is Grammarly. It is a web-based language tool that enhances writing proficiency. Grammarly is primarily used as a proofreading tool that is embedded within your default web browser as an extension. It can aid in writing the simplest of text to the lengthiest school paper. It contains several features that keep the user up-to date with grammar and syntax rules along with preventing plagiarism. This tool can be quite useful for any student or adult, but we feel that it can be great for those affected by Dyslexia as it gives them continuous feedback while writing anything on the web promoting constant revision and articulation.